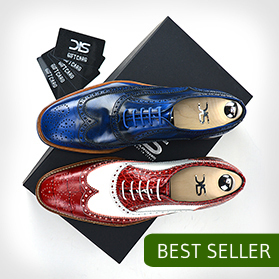 Customized shoes, give the experience to create a unique shoe, handmade in Italy, amaze your friends with an original gift idea. Buy a gift card DIS and present a unique experience of customization. 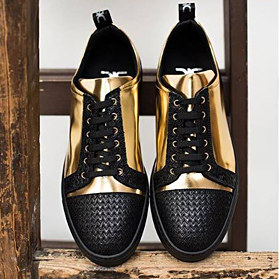 The recipient can choose from over 30 models of shoes for men or women, 100 colors, many types of soles, laces and eyelets; customizing every detail of the shoe, engraving the name, a date or initials. Boots or elegent wedding shoes,for a complete shopping experience with exclusive leather and engraving. 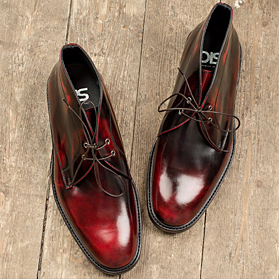 Classic shoes and brogues fo men or women, all ideal styles for business in calf or suede leather. Desert boot, mocassin or sneaker the important is be confortable and colorful, this is the perfect gift for him or for her. Unobtainable and original gift, have fun creating your sports shoe for men or women. Gift certificates can be used to purchase any product on site www.designitalianshoes.com footwear or custom belts, wallets, socks, brushes and shoe care accessories. A gift certificate will be sent in PDF for you to print or forward. Gift cards will not be redeemable or exchangeable for cash or replaced if lost or stolen and can only be spent on designitalianshoes.com. Gift certificates expire at midnight one calendar year after the date of purchase.